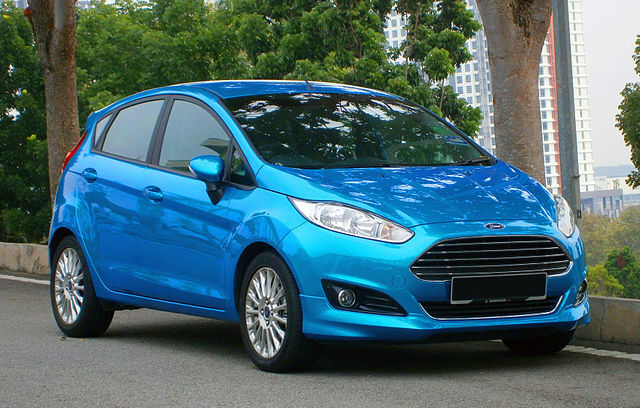 Ford Fiesta’s have been around for decades and are a favorite amongst all drivers. But, they’ve become particularly great for people that have just passed their test. It’s a car that most people will consider when they get their license. It’s not something you think about much; your brain immediately pushes you towards a Fiesta. Why? Because Fiestas are cars for everyone. They’re big enough to be a family car and small enough as a personal vehicle. People that pass their test when they’re young like Fiestas because of the design and size. They’re quite sporty to look at, and can be fast too. Pass your test when you’re older, and all the safety tech and driving comforts make it ideal to drive your family around in. Another reason it’s so popular is because of the amount of Ford Fiestas on the market. There seems to be a new one every time you look on Ford’s website. With so many versions available, it’s an easy car to get your hands on. Most used car dealers will have plenty of them in stock. And, while the newer models are perhaps a tad expensive for new drivers, the old ones are cheap. It won’t cost a lot to get your hands on a three or four-year-old Fiesta that still looks and feels modern. This car is perfect for new drivers of all ages, and regularly tops sales charts. For years, the Vauxhall Corsa has been one of the most popular cars for new drivers. You see this vehicle on nearly every road you drive on. Everyone and their dog seem to have one. But why? What makes this car so good for people that have recently obtained their license? It comes down to some factors, all of which combine to make this a must-have car. Firstly, the Corsa is affordable. It’s a good car, and you won’t have to pay too much for it. Plus, it’s easy to find and buy. As you can see on the Pentagon-Group website, there are lots of Corsa’s available. It’s a car that’s been around for years, and there are numerous generations. The benefit of this is that you can get an older version, and pay less! Regarding safety, the Corsa is well-known for being safe to drive. It isn’t difficult to get behind the wheel and start driving like a pro. Driving a Vauxhall Corsa is no struggle, you’re not fighting against anything. Therefore, it’s safe for new drivers to drive. Also, it’s a perfectly sized car too. It’s not too big, and not too small, making it ideal. When you take all of these things into account, it’s easy to see why it’s such a good seller. Although Volkswagen has tarnished their reputation recently, they still make great cars. Another of the most popular ‘first cars’ is the VW Polo. Like the other two on this list, it’s highly common amongst new drivers. Many people choose this as their first car because of the size. If you had to pick a perfect car size, the Golf would be it. It’s the ideal size to drive around a city while also being great for long trips with a family. Boot space is very good, and there’s plenty of room in the back seats. But, it’s not too long and difficult to park, it’s just right. As well as this, it’s also very easy to drive, which is perfect for people that are new on the roads. There was another VW that I could’ve included in this list, the Golf. However, I opted for the Polo because it’s a fair bit cheaper and more affordable to run. These two things are what every new driver looks for when buying their first car. One of the rising stars in the car industry is Hyundai. This brand has come from being relatively unknown, to a power play on the global market. Their recent success is largely down to the strength of one of their cars. The Hyundai i10 is seen as one of the best small cars on the market these days; everyone is raving about it. Now, there are numerous things that make this car perfect for new buyers. But, the standout features has to be the five-year warranty. It’s something that this car can boast while others cannot. And, it’s so handy for people buying their first car. When you just get your license, you may be a little bit shaky on the roads. It’s the period where you’re most likely to get into an accident. With this long warranty, you won’t have to worry about forking out for a new car if you accidentally damage yours. Along with this, it’s easy to drive and comes with five doors. This means it’s great if you want to give your friends a lift, or drive a small family around. And, the i10’s engine oozes efficiency. You can do plenty of miles per gallon, which saves you on fuel costs. Seeing as new drivers are typically young, it helps when you can save money on fuel. As you can tell, everything here combines to make this care awesome for anyone out there that’s just passed their test. We stay with Asian manufacturers for the next car on this list, the Toyota Aygo. Recent reports have seen that Toyota is the most popular brand in the world. They sell more cars than anyone else, and the Aygo is one of the best they have to offer. It’s a great option for young drivers because it’s easy and safe to drive. The car is very small and well suited to a city environment. This means it’s perfect for new drivers that need a vehicle to drive them to and from school or college. Many people find that the Aygo is one of the easiest cars to park, ever. Because of its size, you won’t struggle to fit it into tight spaces. It takes some of the stress out of driving. Plus, it’s a fairly cheap car, so you won’t have to fork out too much to buy it. Most first cars tend to be cheap because you can’t afford an amazing one when you just get your license. However, while the Aygo may not be flashy or expensive, it’s still a brilliant vehicle. It’s cheap to run and comes with the bonus of looking great too. All things considered, the Aygo is a wonderful first car option. Now that you’ve seen the options, which one will you pick for your first car? Or, perhaps you’re buying one for your child who’s just passed their test? Either way, all of these cars are excellent choices and won’t do you wrong. They all have similar features that make them suitable for drivers that have just passed their test. They’re easy to drive, affordable, safe, and last a long time. There are probably lots of you that are reading this having recently got your license. If so, then I’d like to recommend you read this article on staying safe in your car. It can help you drive better and avoid any crashes.